So, I totally had a different sort of post in mind for today. However, yesterday, Disney Legend Marty Sklar passed away at the age of 83. The D23 Website (among others) passed along the news. You can read about his career with the Walt Disney Company here. I don’t normally do tribute posts like this. However, I’ve met the guy and was inspired by his stories. When his first book “Disney: Dream It! Do It! : My Half-Century Creating Disney’s Magic Kingdoms” came out in 2013, I got an autographed copy at the Walt Disney Studio Store. I was really excited for the book after he spoke to those of us at a Corporate Legal Town Hall Meeting delivering his “The Best Advice I Ever Heard” lecture. It was an inspiring lecture. You can check out one of the times he gave the lecture below. It’s a bit long. But, prepare to be inspired. When I heard the news of his passing, I was shocked. After all, Marty spoke at the D23 Expo two weeks ago. Check out, what might be his final public appearance, the D23 Expo Legends of Disney Imagineering Panel he spoke at during the last day of the expo. John Stamos is the host and the panel features Marty with Tony Baxter. Last year, I got so sing (with several of my fellow Disney Cast Choir Members) at a fundraising gala event for the Walt Disney Family Museum. Below is a video from the event. The guest of honor was Marty Sklar who received the Diane Disney Miller Lifetime Achievement Award. We sang one of Marty’s favorite songs…. Thank you Marty for your many years of service to the Walt Disney Company and sharing all your inspiring stories with us! You will never be forgotten. 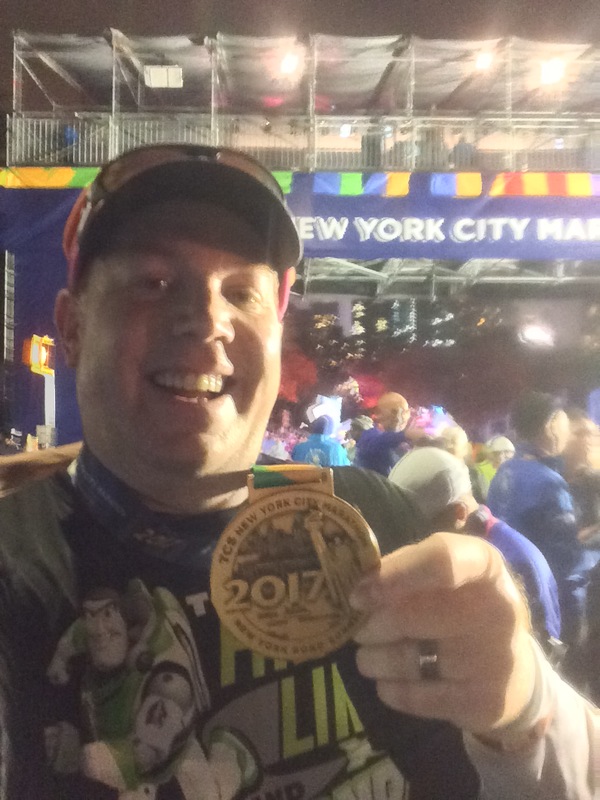 2017 Disneyland Half Marathon Weekend Medals and 2 Weeks of Workout Updates…Oh My! Back to Double Digits with 14 Weeks to Go Until the NYC Marathon!